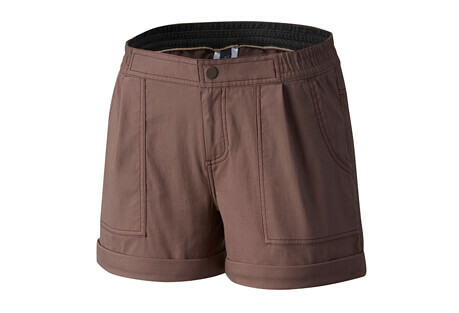 These smart hiking shorts have a Ph.D. in Play and another in Vagrancy. 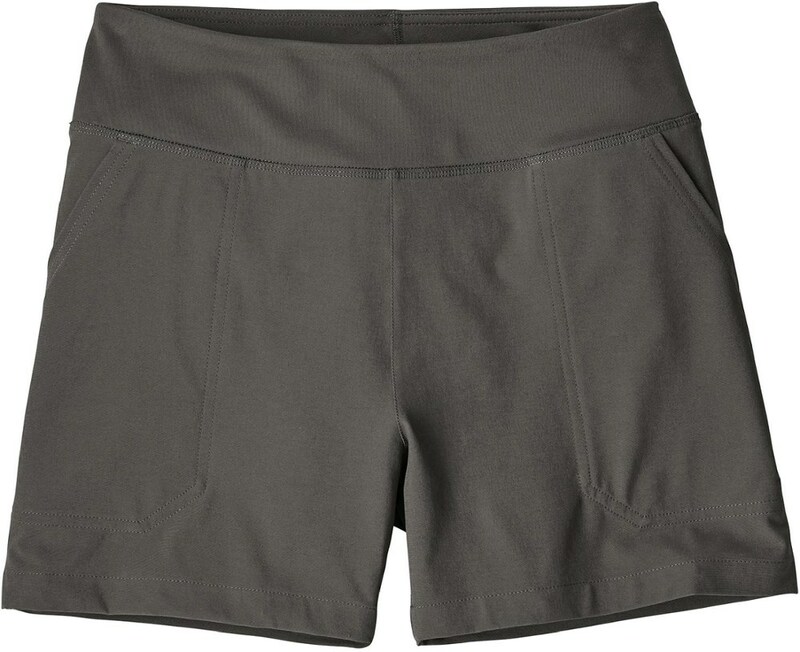 Made from abrasion-resistant 88% polyester/12% spandex fabric with 4-way stretch that air-dries overnight, they have a low-rise waistband with belt loops and a hidden drawcord for adjustability. Keep track of your essentials with front drop-in pockets and two back pockets (one drop-in and one zippered). 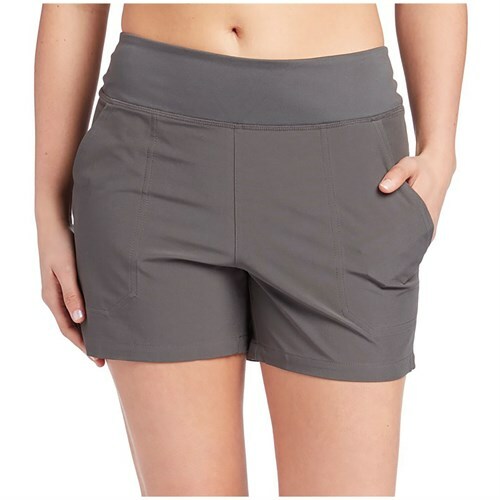 Sure to put a smile on your face as you summit the mountain, the women's Patagonia Happy Hike shorts have 4-way stretch to keep you moving with ease and 4 pockets to keep you organized on the go. 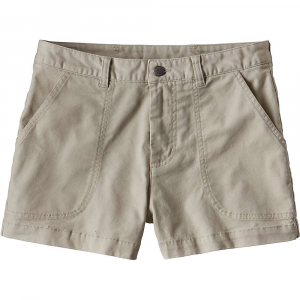 Made from abrasion-resistant 88% polyester/12% spandex fabric with four-way stretch that air-dries overnight, these shorts have a low-rise waistband with belt loops and a hidden drawcord for adjustability. Keep track of your essentials with front drop-in pockets and two back pockets (one drop-in and one zippered). Inseam is 4". 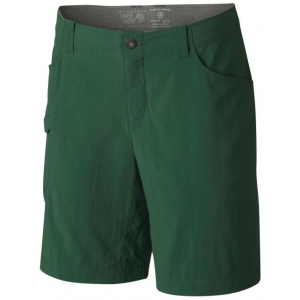 When it comes to steep inclines, rocky trails, and hot (hot) summer sun, the Patagonia Happy Hike Short knows a thing or two about keeping you comfortable mile after mile. The four-way stretch fabric makes moving feel magical and dries in record time when you decide to swim in crystal-clear alpine lakes. 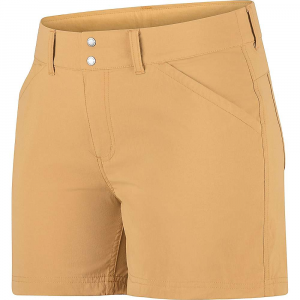 The low-rise waist features a flat, stretchy waistband with a hidden drawcord for a personalized fit, while the two front pockets easily accommodate small necessities for on-the-fly access. Additionally, two back pockets (one zippered and one drop-in) allow you to carry a wallet and snacks without fear of losing either along the way.